This is the second in a four course series of the Harriet Hargrave Quilting Academy. 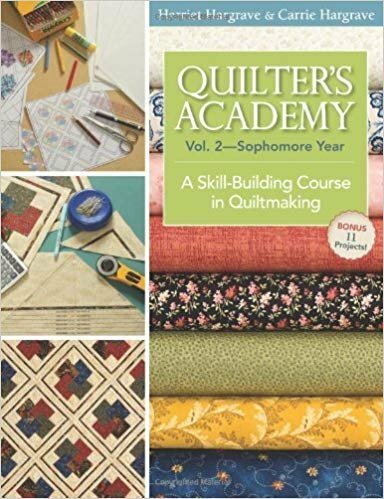 This course takes students further into the world of accurate quilting skills. Must have completed the Harriet Hargrave Freshman Course prior to taking this course. Requirements: Student must have taken the Harriet Hargrave Freshman Course in order to take this course. STudents who would like to have the Sophomore Book may purchase it for $25.00 at the end of the course.